Champion Inside Information died Saturday, Oct. 14 at Claiborne Farm from natural causes due to old age. She was 26. Born at Claiborne in May 1991, Inside Information (Private Account—Pure Profit by Key to the Mint) won 14 of her 17 career starts and was a 6-time Grade 1 winner. She was named the 1995 Champion Older Mare and was inducted into the National Museum of Racing and Hall of Fame in 2008. Bred and raced by Ogden Mills Phipps, Inside Information was trained by Hall of Famer Shug McGaughey. She broke her maiden at first asking at Belmont Park in September 1993. The following year, she won six of seven starts as a 3-year-old, including the Ashland Stakes (G1), Acorn Stakes (G1), and Bonnie Miss Stakes (G2). 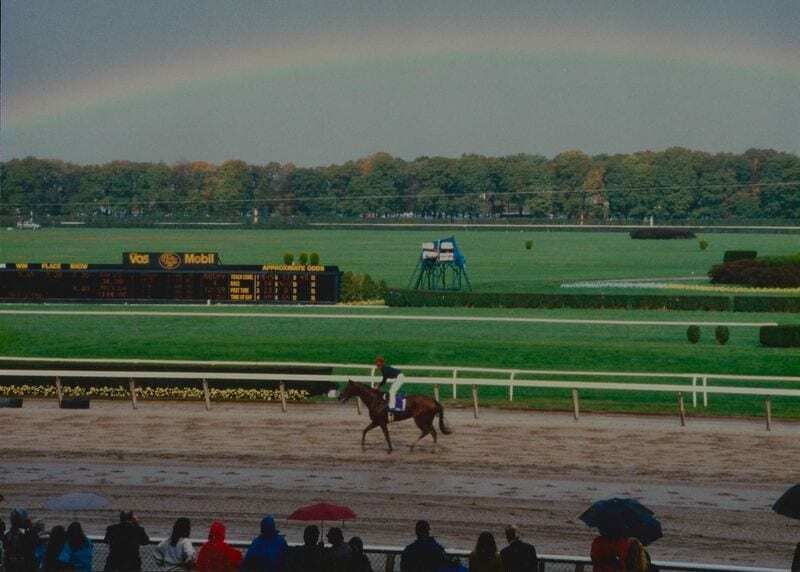 However, it was her 1995 season that earned Inside Information an Eclipse Award, as she posted victories in the Shuvee Handicap (G1), Ruffian Handicap (G1), Spinster Stakes (G1), Molly Pitcher Handicap (G2), and Monmouth Park Budweiser Breeders' Cup Handicap (Gr. 3). Perhaps her greatest triumph of all came in her final start when she was hand-ridden by Mike Smith to a 13 ½ length victory in the Breeders' Cup Distaff (G1) against a field that included Heavenly Prize, Lakeway and Serena's Song. Following her legendary career on the racetrack, she returned to Claiborne Farm upon retirement. A champion on and off the track, Inside Information went on to produce Smuggler, the 2005 Champion 3-Year-Old Filly. Inside Information earned $1,641,806 and never finished worse than third in the entirety of her career. In 2009, the Shirley Jones Handicap was renamed the Inside Information Stakes, which has become a prominent graded stakes event run annually at Gulfstream Park. She will be buried at Claiborne's Marchmont cemetery. This entry was posted in Bloodstock, NL List and tagged Ashland Stakes, Breeders' Cup Distaff, claude shug mcgaughey, Horse Racing, inside information, Ogden Mills Phipps, phipps family, Phipps Family Stable, thoroughbred by Press Release. Bookmark the permalink.